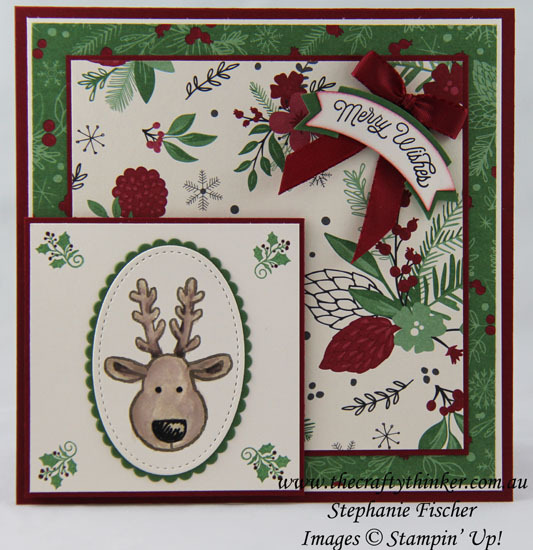 One of the things that I love about the This Christmas Specialty DSP pack is that it contains sooo much paper - 4 sheets each of 6 gorgeous double-sided designs!! Time to start working my way through it!! Keeping the paper the star of the show, I used the reindeer from the Cookie Cutter Christmas stamp set to add a focal area. I stamped the reindeer onto Very Vanilla cardstock in Soft Suede and watercoloured with out with Tip Top Taupe and Early Espresso. I used a Stampin Write Marker to strengthen the colour of his nose and eyes. 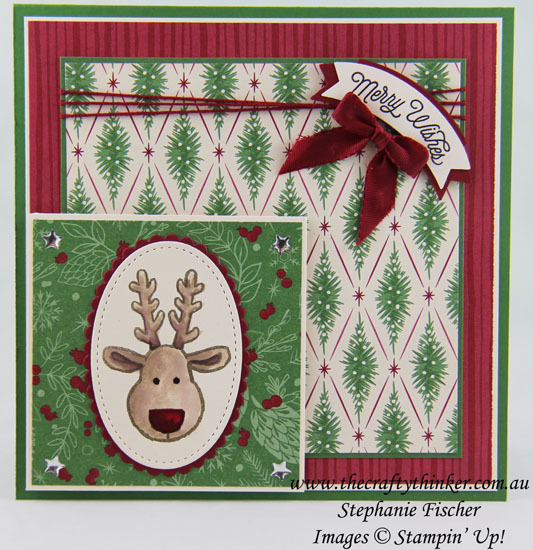 I cut out the reindeer using one of the new Stitched Shapes Framelits which I layered with a contrasting colour cut with one of the Layering Ovals Framelits. This reindeer turned out to be a Rudolph look-alike! 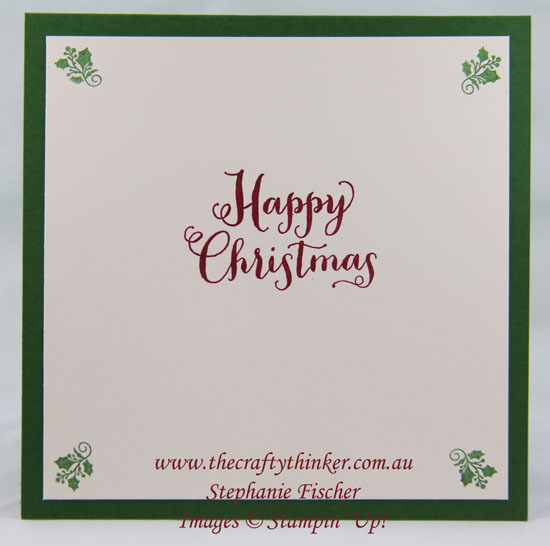 The Stitched Shapes Framelits will be included in next year's Annual Catalogue but have been released early and are available for purchase now - really great value at $50 for 12 dies (4 each in oval, square and circle). Click here to learn more about them and the special offer of 25% off selected stamp sets that match perfectly.